January is National Radon Action Month, when all residents – both renters and owners – are urged to test their home for radon. It is recommended that homes be screened every five years. If a mitigation system is already in place, testing every other year is appropriate to check the effectiveness of the system. Child care facilities are now required to test as well. Screening takes three days to complete, and the results are available within five days. If the screening indicates elevated levels (greater than 4 Pico curies), a second test is recommended. Screening can be done by hiring a tester, purchasing a test kit at a local hardware store or getting one from the Colorado State University Extension office at the fairgrounds in Durango. Neither testing nor mitigation is required in La Plata County, although it is certainly recommended. If you are buying or selling a home, radon testing is not a requirement. However, if testing has been done, it is expected to be included in the listing contract. Dealing with radon in real estate negotiations can be done in various ways and certainly doesn’t need to squelch a sale. Installing a mitigation system in homes testing greater than 4 Pico curies per liter of air is straightforward typically. One of four certified contractors in this area is recommended to seal cracks and install ventilation systems that are up to 99 percent effective in removing radon gas from homes. Building a home to keep radon out is ideal during new home construction and is required as part of our city building code. It is significantly more effective and less expensive to install radon-resistant techniques during construction. After testing, if the results indicate a home is one of the 49 percent in the country with elevated levels of radon, it is a minor project to extend a pipe through the roof and add a fan to remove radon gas from a home. Colorado State Health Department does not recommend the use of plug-in monitors. Radon is a gas moving around the home, but merely opening a window will not sufficiently remove radon. Regardless of how long you have lived in your home, radon is a preventable health issue. Long-term exposure is the leading cause of lung cancer among non-smokers and the second leading cause of lung cancer among smokers and non-smokers – ahead of second-hand smoke. It is estimated to be responsible for approximately 506 deaths in Colorado annually – more than the total number of traffic deaths in 2013. 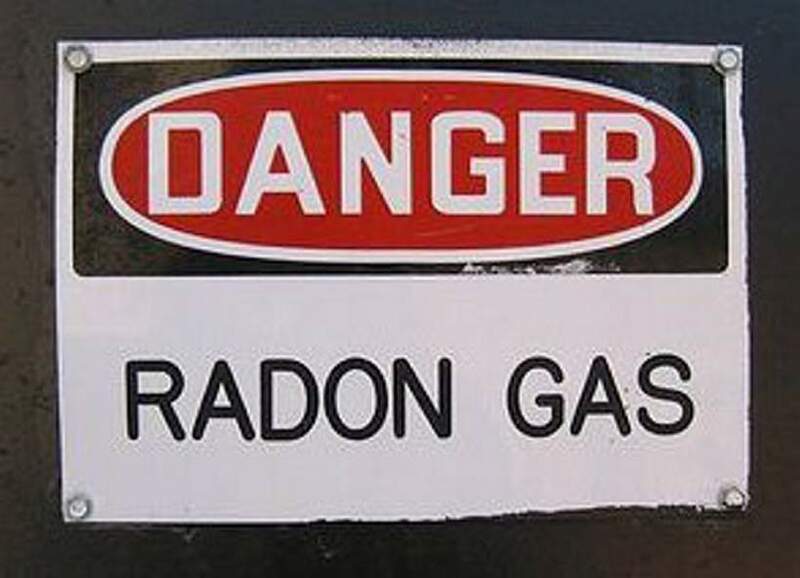 Radon gas is odorless, colorless, tasteless and radioactive. It enters the home through cracks in the floor or crawlspaces as well as openings around drains and utility pipes. Radon accumulates during the winter months because of cold temperatures, frozen ground coverage and closed house conditions. It is sucked into the home as a result of negative air pressure and accounts for 43 percent of an individual’s average annual radiation exposure. Radon is a natural part of our environment, particularly in this area. Its presence in the soil, water and air contribute to our exposure to ionizing radiation, as well as man-made sources resulting from drilling, mining, building materials, power generation, nuclear medicine, consumer products, and military and industrial applications. Radon results from decay of uranium found in the granite in our soil and mountains. Since soils in our area vary significantly and because the gas moves unpredictably though the soil, it is possible for radon to collect in one home though not the one next door. Your home style can affect radon levels. However, radon can be a problem in homes of all types: old, new, drafty, insulated, with basements or without. The immediate geology, construction materials and how the home is built are key factors. To help people better understand the dangers, several community meetings have been scheduled to discuss radon mitigation for new and existing homes. Meetings in Durango are scheduled for Jan. 9, 10 and 24 at the La Plata County Fairgrounds. Information, resources and screening kits will be available to participants at no charge. To reserve a seat, additional information on schedule or additional locations for these meetings, contact the Extension Office at 382-6465.